[0:00] <shiftplusone> Then throw on a current limiting resistor in case the pi ends up in output mode accidentally. [0:19] <hosler> now what do i do? [0:20] <Koopz> singing floppy drives! [0:20] <shiftplusone> Try to take over the world? [0:30] <GerhardSchr> yes my I have a pi! [0:44] <Koopz> i never heard of a german guy who's named "Hank"
[0:44] <shiftplusone> Do all Germans know each other? [0:45] <Koopz> no... but it is extremely unlikely that german parents would call their son "Hank"
[1:05] <hosler> why is the pi more popular than the beaglebone? [2:08] <benny99> is there a way to SSH to my raspberry pi from another network if I don't have access to the router settings that the raspberry pi is on? [2:09] <benny99> can you name some? [2:14] <benny99> shiftplusone, I just found that! haha thanks! [2:16] <benny99> while I'm here, can you recommend the best OS to install? [3:59] <hosler> anyone else get an adafruit lcd kit? [4:16] <YellowGTO> whats the max safe temp for the pi? [4:18] <hosler> anyone use wayland on the pi? [4:20] <shiftplusone> YellowGTO, anything below 70 is ok. Anything over 70 is also ok.
[4:21] <shiftplusone> Oh, you weren't the one asking about arduinos and command line? [4:22] <shiftplusone> are you sure you have to? [4:23] <hosler> it's really no big deal, but there are other gotchas. [4:23] <shiftplusone> O_o shouldn't, but I'll take your word for it. [4:23] <shiftplusone> which distro are you running? [4:23] <shiftplusone> from the foundation's image? [10:53] <efazati> how can install pfsense on respberry? [10:57] <Sonny_Jim> Does FreeBSD run on the Pi? [10:59] <VlperX> so um.. prettysure my Pi is faulty..
[13:09] <heckran> So my raspi doesn't use swapfile, even if I've configured with dphys-swapfile to my external hd and activated by dphys-swapfile swapon. [13:10] <heckran> That is rasbian, what I'm using. [13:10] <heckran> On arch arm it works with no issues. [13:11] <heckran> Is there a log file or anything to find out why swapfile isn't being used when on high load. [13:42] <Sonny_Jim> heckran: Why do you think it's not being used? [13:48] <foofoobar> Hi. My pi is connected with my hifi. Is there any software I can stream all my pc sounds/music/whatever to the pi ? [14:00] <Sonny_Jim> Where did you get those figures? [14:02] <Sonny_Jim> Well, looks to me like you've got 1024MB of swap? [14:02] <Sonny_Jim> Are you getting out of memory errors? [14:02] <heckran> Where can I see that? [14:04] <Sonny_Jim> What application are you using that you are expecting to use over 1GB of memory? [14:05] <Sonny_Jim> The Pi version? [14:05] <Sonny_Jim> On the Pi? [14:05] <Sonny_Jim> Where did you get it from? [14:07] <Sonny_Jim> Why do you think there's something wrong? [14:07] <Sonny_Jim> What was the command you used to start the server? [14:08] <Sonny_Jim> Not trying to sound like a git here, but have you actually read that command lin? [14:10] <Sonny_Jim> Why do you consider it weird? [14:14] <Sonny_Jim> Why would I? [14:14] <Sonny_Jim> Why did you create the swapfile in the first place? [14:15] <heckran> why is that you don't find it odd? [14:17] <Sonny_Jim> Because, and I don't know how I can put this in plainer language, if it needed to use the swapfile, it would? [14:51] <SpeedEvil> I want them to use a manufacturer that actually documents their chips, and will sell them to third parties. [14:52] <SpeedEvil> http://shop.dmp.com.tw/INT/products/24 - for example. [14:54] <SpeedEvil> They picked 'Oooh - I can get these at work'. [14:55] <SpeedEvil> The only way they were able to get parts, and get what limited data has become available is because of direct contacts with the broadcom board. [15:00] <TheWarden> I'm trying to teach my son some programming and for some reason I can't get the following code to work. No errors appear, it just created a window and never changes the color of that one. My understanding is that pygame.display.update() is suppose to update the entire surface window to blue. [15:00] <TheWarden> The window just remains black with no change. [15:01] <TheWarden> btw, I'm using IDLE on the Raspberry Pi. [15:05] <TheWarden> Sonny_Jim: Ahh I do, but I think that was my fault typing it into Gist. I'll double check the code again in IDLE. [15:07] <TheWarden> Sonny_Jim: I double checked it myself and still the display window didn't update to deepblue. [15:13] <TheWarden> oh okay, well thanks though. [15:15] <Sonny_Jim> Might be worth asking in #python maybe? [15:23] <LoonaTick> Hi. My raspberry pi (running raspbian) suddenly cannot connect to outside hosts on port 80 anymore. It is able to send ping to outside and resolve hosts, but it is unable to wget any URL or to apt-get upgrade. Did anybody else have this problem? Other hosts in my LAN are able to connect just fine. [15:24] <Sonny_Jim> LoonaTick: You haven't been using iptables for anything? [15:25] <Sonny_Jim> Hmm, you don't use a proxy? [15:27] <Sonny_Jim> You checked with sudo iptables --list? [15:30] <LoonaTick> a7x: Fixed now. It was my WLAN -> LAN converter. Thanks for your help, both! [15:31] <LoonaTick> btw did you ever hear of somebody getting MySQL + galera to work on a set of pi's? [15:43] <pieces029> LoonaTick, I switched to use the repo you gave me and I'm still getting things like W: Failed to fetch http://raspbian.mirror.triple-it.nl/raspbian/dists/wheezy/contrib/i18n/Translation-en_GB Unable to connect to raspbian.mirror.triple-it.nl:http. Do you have any ideas why? [15:44] <LoonaTick> pieces029: Do you have working internet on the pi? [15:46] <LoonaTick> pieces029: You sure? Are you able to ping other hosts, or to do wget http://www.google.com/ ? [15:47] <pieces029> I get this too E: Unable to fetch some archives, maybe run apt-get update or try with --fix-missing? [15:48] <LoonaTick> pieces029: Maybe one of the other ones in /etc/apt/sources.list.d is causing that? [15:49] <GerhardSchr> I have a Y Cable from my ext. 2.5 hdd, when I connect the one to the pi and the other to PC/HUB, then the pi boot without the "master" supply...is these dangerous? [15:49] <somenewguy> my raspi is ignoring me, can anyone offer some guidance? [15:54] <GerhardSchr> somenewguy: port 22: Connection refused ? [15:57] <pieces029> somenewguy, are you using nmap? [16:00] <Sonny_Jim> That's bad, m'kay? [16:50] <somenewguy> and now im back? [17:43] <drag0nius> what partition is NOOBS bootloader located on? [17:51] <delugeofspam> is there any really good reason that my pi should be playing one AVC/DTS file and completley failing to play another? [18:20] <Cykey> can you use 5v inputs on the gpio? [18:22] <Cykey> Sonny_Jim: what happens if I do? [18:29] <Sonny_Jim> Have you tied the pin high? [18:30] <Cykey> should I try INT_EDGE_BOTH? [18:30] <Sonny_Jim> How is the button wired? [18:30] <Cykey> Syliss: Do you use a mac? [18:30] <Sonny_Jim> Syliss: Got a NES? [18:36] <Cykey> so should I do pullUpDnControl(CAMERA_BUTTON_PIN, PUD_DOWN)? [18:36] <Sonny_Jim> because you want it to trigger on the falling edge, right? [18:50] <beaky> how did they manage to fit a full computer into a single hand-sized board? [18:52] <Sonny_Jim> Not *everything* is on there, like voltage regulation etc. [18:55] <Yugnoswam> Hm, it seems to output audio very static-filled past a certain volume. [18:57] <Sonny_Jim> So basically, the Pi is amplifying it too much, causing distortion. [19:02] <Sonny_Jim> See, in the time it took to take and upload that picture you could of asked "How do I change the volume in openelec? I don't see a volume control?" [19:40] <pieces029> I keep getting error messages like Failed to fetch http://mirror.us.leaseweb.net/raspbian/raspbian/pool/main/l/linux/linux-libc-dev_3.2.51-1+rpi1_armhf.deb Unable to connect to mirror.us.leaseweb.net:http: does anyone have any ideas what's going wrong? [20:29] <Sonny_Jim> from what I gather, there isn't that much you can do. [20:31] <beaky> wow you can replace the onboard reg? [20:39] <gordonDrogon> beaky, but with no USB, you have no ethernet. etc. [20:39] <gordonDrogon> the ethernet is a usb device. [20:39] <beaky> so it hooks to the SoC thorugh its usb pins? [20:40] <gordonDrogon> it's just the way the Pi is made. - yes. [20:41] <gordonDrogon> pack all those features into a < $35 package... and this was 2 years ago now, remember..
[20:41] <Amadiro> beaky, the SoC doesn't have ethernet onboard, so the SMSC ethernet chip is basically just a "USB network card" soldered directly onto the board. 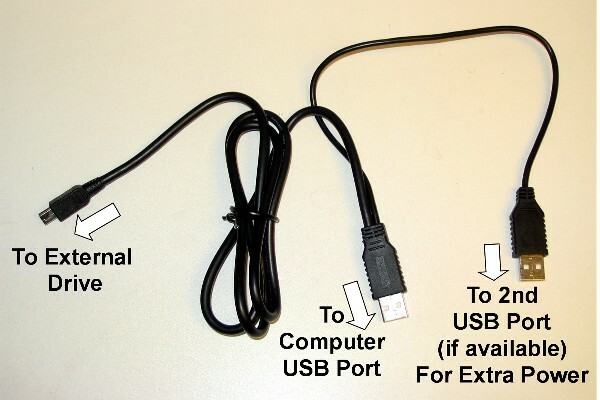 [20:42] <gordonDrogon> Amadiro, it's a 3-port USB hub - one port goes to the ethernet, the other 2 to the external socket. [20:43] <gordonDrogon> beaky, it's really nothing clever - remember the mobile phone companies have been doing this stuff for a long time now. [20:43] <gordonDrogon> although SoC isn't strictly a mobile unit - it's aimed at the set top box market, but there are similarities. [20:43] <ShadowJK> beaky; allwinner, rockchip, mediatek are all more powerful and energy efficient..
[20:45] <PigFlu> what distro would you guys recommend for C programming on the pi? [20:45] <gordonDrogon> PigFlu, I use Raspbian. [20:45] <Amadiro> PigFlu, any should work, archlinux tends to have the very newest gcc and clang versions available, so that's a plus. [20:49] <ShadowJK> beaky; intel isn't that interested in making low power cheap chips. They're afraid they wouldn't sell anymore fast expensive chips. [20:50] <beaky> they prey on totaly different niche? [20:50] <ShadowJK> Well, they're forced into it. [20:50] <ShadowJK> into competing with arm, that is. [20:52] <ShadowJK> Intel is dragging its feet still, just like when they released the original Atom. They made a low power cpu, but because they thought it was too low power, they forced you to use a chipset and motherboard that itself ate 5 times more power than the cpu, lol. [20:53] <ShadowJK> iirc, Arm gets less than a dollar profit per cpu on average. Intel hundreds. [20:58] <Amadiro> PigFlu, "sudo pacman -S gcc"
[21:11] <gordonDrogon> it'll depend on how much GUI you wany. [21:12] <gordonDrogon> if you remove X then you'll free up half of it..
[21:12] <gordonDrogon> and remember to expand the filesystem - the supplied 2GB image is just short of 2GB so it fits into SD cards that have slightly less than their advertised 2GB..
[21:13] <Amadiro> I don't think the archlinux image comes with any GUI stuff pre-installed? [21:14] <Amadiro> PigFlu, I don't think startx is still a thing, try just "X" or "Xorg"
[21:16] <PigFlu> Amadiro: alt-F1 where? [21:17] <PigFlu> but i guess i could just start another session..
[21:30] <Sonny_Jim> How is tmux nicer out of interest? [21:31] <PigFlu> "make: command not found"
[21:31] <PigFlu> im guessing pacman -S make ? [21:38] <mrmoney2012> going to be controlling my christmas lights via pi - anyone else? [21:42] <pingo> which logs should i check to investigate why my r.pi freezes randomly? [22:13] <ShorTie> how is the wifi getting power ?? [22:33] <Sonny_Jim> What driver is it using? [23:17] <PigFlu> who said compiling code on the raspberry would take forever? [23:20] <Amadiro> well, C compiles pretty fast, particularly if you're using clang. [23:21] <linuxstb> PigFlu: For small apps, no problem. But try compiling anything a bit bigger and you'll soon lose patience. [23:43] <I440r> nobody interested in testing? [23:46] <[Saint]> I'm assuming you mean you're compiling on the pi itself, if so - why? [23:46] <[Saint]> A modern desktop should be able to do that in a matter of minutes. [23:49] <ShorTie> start your emerge and go to bed, lol. [23:50] <[Saint]> Wouldn't it be faster to just do it in a qemu instance, package up the disk image, then transfer it over to a real pi? [23:50] <[Saint]> Like, several orders of magnitude faster. [23:51] * SpeedEvil sighs at derpyness. [23:52] <[Saint]> SpeedEvil: its not really the processor that was my main concern, its the lack of RAM and the inevitable swapping itself to death that concerned me about compiling large projects on the pi. [23:53] <[Saint]> well, that, and the terrible throughput rate. [23:53] <SpeedEvil> Swapping to an external ramdrive may be sane. [23:53] <SpeedEvil> I have in the past swapped over 802.11b to a ramdrive. [23:53] <SpeedEvil> It was considerably faster than local swap. [23:54] <[Saint]> I can't remember the last time I swapped. [23:54] <[Saint]> My usual solution is to throw buckets of RAM at it. [23:55] <[Saint]> RAM is so hilariously cheap now it doesn't make much sense to not max out your board. [23:56] <SpeedEvil> I have looked at upgading the RAM on my phone. [23:57] <SpeedEvil> But I couldn't get the parts. [23:57] <Amadiro> So you're saying... You didn't have the parts? [23:57] <[Saint]> I reflowed a NAND on a Nano2G once. [23:58] <SpeedEvil> Helldesk: Well - yes and no.